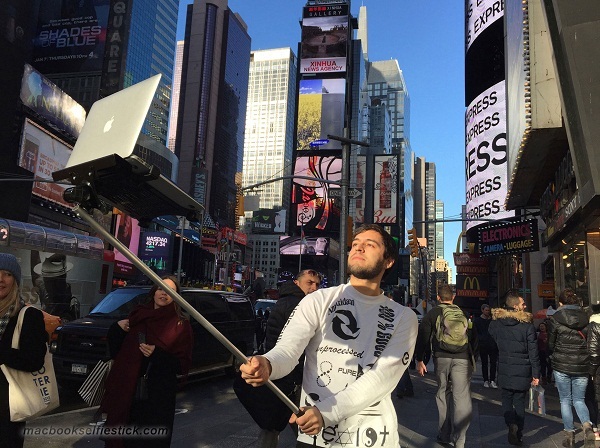 The Trending Selfie Stick For Apple MacBook Pro and MacBook Air. Dope or Nope ? But just few days ago, the idea of using a selfie stick with Smartphones even seem so sensible to me compared to the new trending pictures flying all around on the internet recently, using a selfie stick with a MacBook - Duh! Here, I think the oversize selfie stick for MacBook seems to be making the point that perhaps the technology that serves our obsession with selfies should be as outsize as our egos. 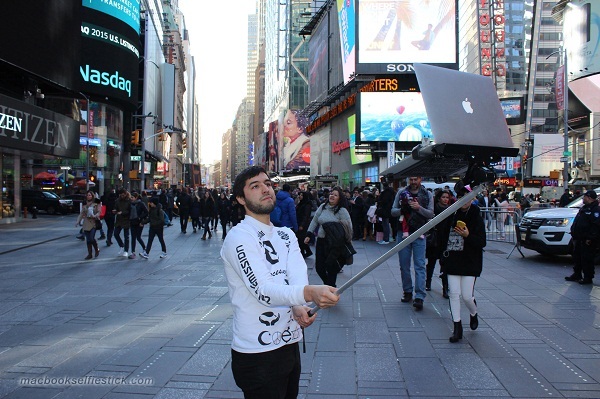 The images of the Macbook Pro selfie stick shows various models in selfie-taking poses around the streets of NYC, with various passersby with different facial and body expressions. 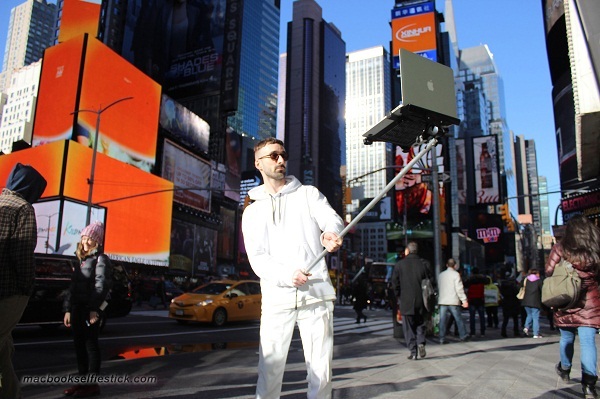 Of course, the selfie stick itself appears to be a long, weird pole attached to a heavy-duty clamp that safely holds a full-on MacBook in place of the standard iPhone, these look heavy and really ridiculous. 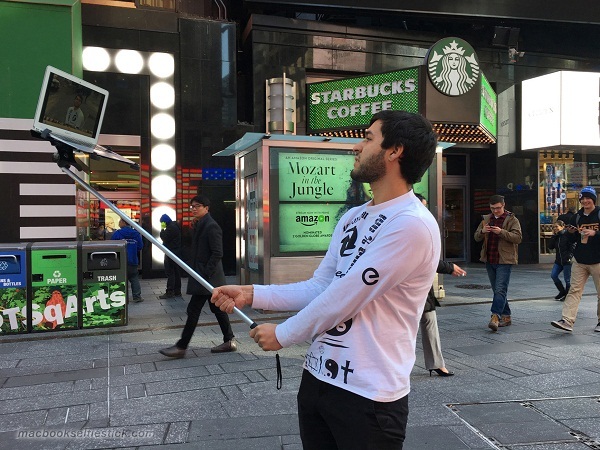 Well, it turns out, luckily, that this selfie stick is not actually a thing. 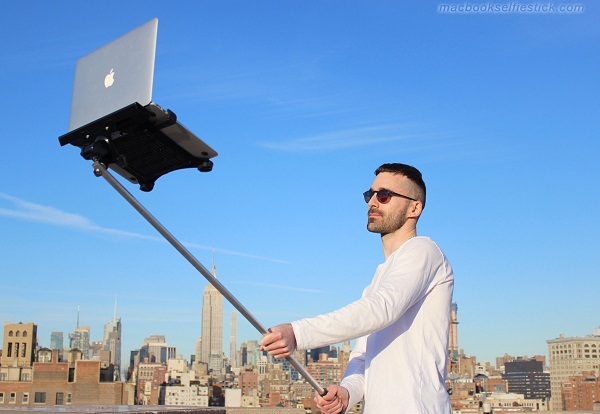 It is just a concept from a group of creative people who have already created a site for the MacBook selfie stick. Though, it is actually possible that the selfie stick for the MacBooks will turn into a commercial product, something anyone can actually buy. 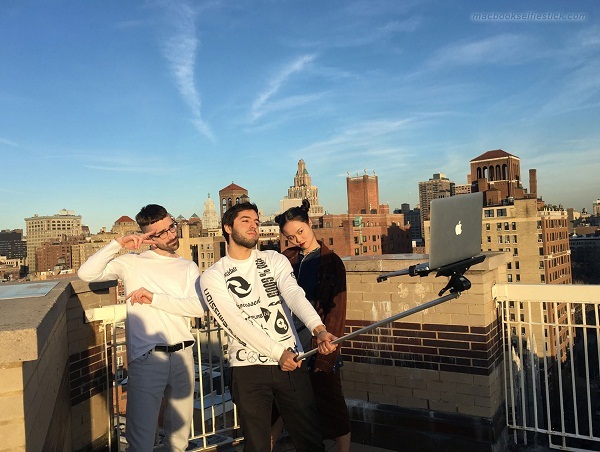 But would you ever buy this selfie stick for your MacBook even if it eventually comes into reality? I'd like to know your thoughts on this, use the comment box down this page to add your contributions and don't hesitate to share this weird, strange and funny concept with others.